A 1 tonne bag of UK produced poultry pellets. Ideal for adding nutrients and organic matter to soil. Poultry pellets are an ideal way to add nutrients and organic matter to soil. 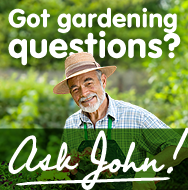 It can be used all round the garden and allotment, and is ideal for organic growers. We also do a fine pellet that can be used on lawns and golf fairways. For more information, please contact us by email, or call us to discuss your requirements.